Dr. Ashrafzadeh (Dr. Ash as referred to by most) was born and educated in Boston Massachusetts. He derived much of his inspiration and love for ophthalmology from his father who is a retinal specialist. After completion of his training Dr. Ash moved with his family from Boston to Stanislaus County and has been in private practice since 2002. As a Cataract, Corneal and LASIK Specialist, Dr. Ash has provided the most advanced care in all these arenas. Dr. Ash has been performing LASIK eye surgery since 2001 and has helped many become free of their glasses and contacts. In November 2005, Dr. Ash, started Northern California Laser Center in Modesto to bring the most advanced care there is to provide. The format of LASIK surgery provided by Dr. Ash, iLASIK, is the only format allowed by the US Military for their elite Top Gun Pilots, Air Force Pilots, and the NASA Astronauts. Not only has the creation of NCLC been a great advance for laser vision correction, but also essential for more advanced corneal treatments. In fact, with his advanced IntraLase unit, Dr. Ash was the very first person in Northern California to provide the most advanced format of Laser Corneal Transplant Surgery, called IntraLase Enabled Keratoplasty and IntraLase Lamellar Keratoplasty. In the arena of cataract surgery, Dr. Ash has performed thousands of successful cataract surgeries. He has also provided some of the most advanced formats of cataract surgery with the modern IntraOcular Implants such as the Multifocal and Toric IOLs. Many patients wishing greater visual freedom have combined the cataract surgery with multifocal IOLs and IntraLase LASIK eye surgery to achieve their best personal vision. He was one of the very first surgeons to perform the revolutionary presbyopia correcting Cataract Surgery with ReSTOR, ReZoom, Tecnis Multifocal and CrystaLens implants. He also uses the Toric IOL, to perform astigmatically correcting cataract surgery. As a refractive surgeon he is mindful of cataract surgery and implant options. He is one of very few surgeons that performs implantation of intraocular contact lens, Verisyse. Dr. Ash, a specialist in LASIK Eye Surgery and Corneal Surgeries, has brought some of the most advanced diagnostic and therapeutic devices to the Central Valley. He is a well recognized expert in Visante Anterior Segment OCT (Carl Zeiss Meditec, Dublin, CA) which allows Ultra-high resolution images of the front portion of the eye. This device creates images that allow unique ability to evaluate and manage LASIK patients. Additionally, the IntraLase femtosecond laser has brought the safety of LASIK Eye surgery to new levels. Dr. Ash remains involved academically and serves as a Visiting Assistant Clinical Professor of Ophthalmology at University of California, Davis. He has been invited to speak at many different events nationally and internationally, such as the American Society of Cataract and Refractive Surgery. His research work has been published in different peer-reviewed journals including Ophthalmology the official publication of the American Academy of Ophthalmology. Dr. Ash is also a consultant to Carl Zeiss Meditec, Inc., Dublin, CA, makers of many highly technical ophthalmic instruments. Additionally he has created a patient and professional education website www.AskDrAsh.com teach others about eye diseases and how Visante omni is essential in their evaluations. Dr. Ash finds the greatest joy in helping patients obtain the best possible vision and restoring sight. He finds the greatest complement in referral of other patients by his current patients. He is fluent in Farsi and Spanish. A. Ashrafzadeh. 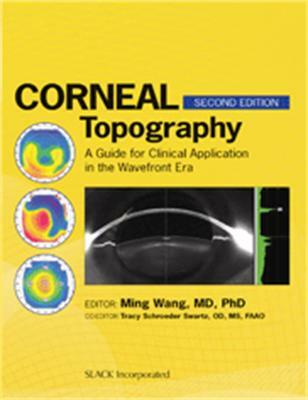 Chapter 6.4: Visante omni, in Topography in Wavefront Era, 2nd Edition, Ming Wang, MD, PhD, Tracy S. Swartz, OD, MS, eds. ISBN 13 978-1-55642-970-5. January 2012. Thorofare, NJ: SLACK Incorporated. A. Ashrafzadeh. Former LASIK Patients' Challenge to the Cataract Surgeon Baby boomers’ demand perfect vision and service. What are the challenges and rewards for cataract surgeons? Ophthalmology Management. December 2011 Pages 45-48. A. Ashrafzadeh. OCT in Comprehensive Ophthalmology Practice. Ophthalmology Management. July 2011, Supplement Page 8:10. Published interview with A. Ashrafzadeh. René Luthe. OCT Moves Into the Refractive Arena: Its uses keep multiplying, making it a must-have, proponents say. Ophthalmology Management. May, 2011. A. Ashrafzadeh. AS-OCT’s role in the Comprehensive Practice. Advanced Ocular Care. April, 2011 Pages 53-54. Published interview with A. Ashrafzadeh. Shareef Mahdavi. Combining Placido and OCT Imaging Technologies: Bringing Diagnostic Power to Corneal Analysis. SM2 Strategic. March, 2011. Refractive & Cataract Applications of OCT. The versatility of the Visante Omni in the ophthalmic practice. The physicians of Northern California Laser Center are renowned Stockton and Modesto lasik eye surgeons. They are also considered Lasik Stockton and Modesto cataract surgery specialists. These physicians treat lasik Stockton and cataracts patients from their Modesto offices.